Effect of endotoxin and alum adjuvant vaccine on peanut allergy. Metabolomics reveal physiological changes in mayfly larvae (Neocloeon triangulifer) at ecological upper thermal limits. One Step Forward for Reducing False Positive and False Negative Compound Identifications from Mass Spectrometry Metabolomics Data: New Algorithms for Constructing Extracted Ion Chromatograms and Detecting Chromatographic Peaks. Detailed Investigation and Comparison of the XCMS and MZmine 2 Chromatogram Construction and Chromatographic Peak Detection Methods for Preprocessing Mass Spectrometry Metabolomics Data. Disposition of intravenously or orally administered silver nanoparticles in pregnant rats and the effect on the biochemical profile in urine. Preterm neonatal urinary renal developmental and acute kidney injury metabolomic profiling: an exploratory study. Obesity Increases Mortality and Modulates the Lung Metabolome during Pandemic H1N1 Influenza Virus Infection in Mice. 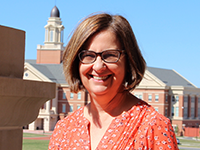 Susan Sumner, PhD joined the UNC Nutrition Research Institute on December 1, 2016, as a Professor of Nutrition. Dr. Sumner is working to make personalized medicine a reality through metabolomics, the science of measuring thousands of chemicals in a small sample of a person’s blood. Metabolomic analyses provide a more comprehensive view of a patient’s metabolism than the limited measurements of glucose and cholesterol that doctors employ today. Using metabolomics, Dr. Sumner assesses differences in the metabolic profile of individuals that correlate with states of wellness or disease. She is identifying responses to treatment in areas such as obesity, drug-induced liver injury, infectious disease, and reproductive and developmental biology. 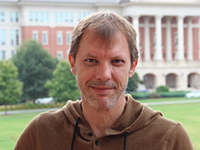 For the past 12 years, Dr. Sumner has worked at the Research Triangle Institute as Director of the NIH Eastern Regional Comprehensive Metabolomics Resource Core, and as a Senior Research Scientist in the Center for Estimating Human Health Risks from Exposure to Nanoparticles. Her research activities span several domain areas in Personalized Medicine, Metabolomics and Biomarkers Research, Obesity, and NanoHealth. She has led projects designed to identify biomarkers for the early detection of disease, to monitor disease progression or therapeutic intervention, and to gain insights into mechanisms of response. Dr. Sumner has served as the PI of a grant funded through the National Institute of General Medical Sciences to use metabolomics to reveal noninvasive markers of drug-induced liver injury. 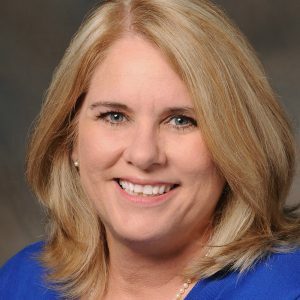 She also leads several research efforts that involve using metabolomics to reveal mechanistic insights related to the impact of environmental exposure in utero or early in life on reproductive and developmental outcomes. 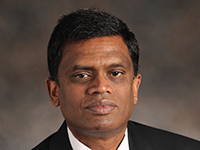 “My expertise in metabolism and metabolomics, and broad applications in studies of diet, smoking, cancer, diabetes, obesity, cognitive development, liver disease, natural products, maternal and child health, and the environmental influence of disease complements the nutrigenomics research at the UNC Nutrition Research Institute. Metabolomics provides a means to determine the link between genes and nutrition requirements, and to understand how nutrition impacts gene function. With Dr. Sumner’s arrival in Kannapolis, the NRI became home to the Eastern Regional Comprehensive Metabolomics Resource Core. This is one of six centers in the United States that work together to establish national standards for metabolomics, and increase national metabolomic capacity in clinical and translational research. Dr. Sumner received her BS and PhD degrees from North Carolina State University. 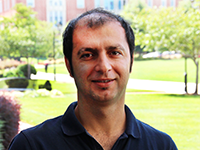 Dr. Reza Ghanbari, PhD, joined the NRI in the Sumner Lab in the summer of 2017. He received his PhD in Molecular Medicine, and is an Assistant Professor at the Tehran University of Medical Science, Iran. Dr. Ghanbari is working in the Sumner Lab as a NIDA INVEST Fellow, funded by the National Institute on Drug Abuse. He is experienced in cancer biology, and will receive training in the use of metabolomics for oncology and drug addiction research. David Kirchner joined the Sumner Lab at NRI as a Research Associate in August, 2018 from DHMRI where he was a Staff Scientist for 5+ years in the Analytical Sciences division doing projects in mass spectrometry based Proteomics and Metabolomics. Prior moving to NC, he worked in biomedical research focused on comparative discovery Proteomics of cancer and cardiovascular disease. He earned a MS in Biochemistry from Indiana University of PA in 2010, and has over 20 years of research laboratory experience in several areas including genetics, molecular and cell biology, bioanalytical chemistry and bioinformatics. Yuan Li, Ph.D. joined the NRI in the summer of 2017 as a postdoctoral research associate, relocating with the ERCMRC. She earned her PhD in biochemistry from City University of Hong Kong in 2014. She also gained extensive experience in Traditional Chinese Medicine (TCM) in her bachelor's and master's training. Dr. Li’s research interest focuses on prevention and management of metabolic syndromes, including obesity, diabetes, and their complications, through nutritional approaches and herbal remedies. 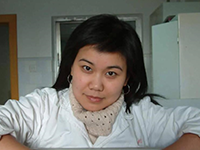 She combines cutting-edge research methodologies (such as lipidomics, metabolomics, and drug metabolism) with her knowledge of TCM to understand the mode of action of herbs on metabolic syndromes. Susan McRitchie joined the Nutrition Research Institute in January 2017 as the Program Manager for the Sumner Lab. 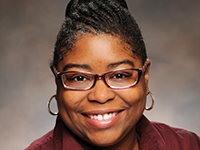 She is the program coordinator for the NIH Eastern Regional Comprehensive Metabolomics Resource Core (ERCMRC) (Sumner, PI), and is co-chair of the NIH Common Fund Promotion and Outreach Working Group. Ms. McRitchie received her MA in Mathematics from UCLA and her MS in Biostatistics from UNC-CH, and leads the data analysis of UNC NRI metabolomics studies as well as serving on the NIH Common Fund Data Analysis and Visualization Working Group.